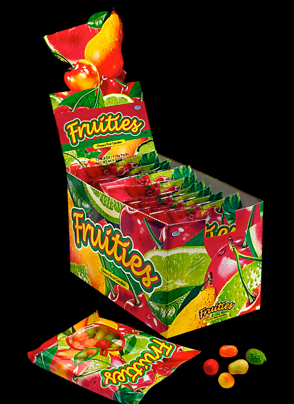 Value Quest Food developed a new candy line for adults and children who love fruity flavors. Fruities was designed to reward you with a rich fruity intense flavor. The packaging was designed to be very exciting in a Carman Miranda way.